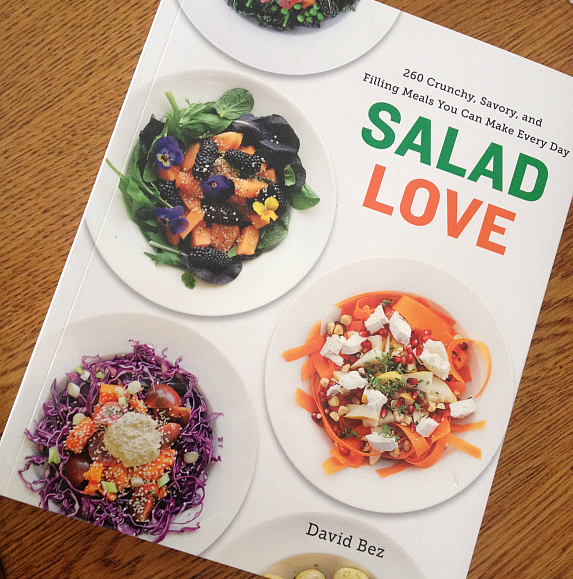 Review: Salad Love by David Bez – Why I LOVE This Book! 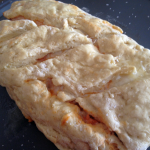 – Get Cooking! 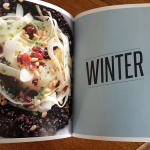 You are here: Home / Reviews / Cookbook Reviews / Salad Love: Review of a Must Have Book for Salad Lovers! 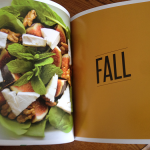 Salad Love: Review of a Must Have Book for Salad Lovers! As you know, I have an obsession with salads. I’m a self-confessed salad addict and hope to never be cured. If only all of my food fixations were as healthy. Yeah, I’m looking at you chocolate sundaes. 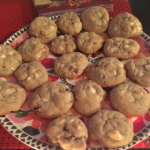 The book pictured here, as you’d imagine, is a dream come true for all of us who love salads like most people love cookies. Salad Love: Crunchy, Savory, and Filling Meals You Can Make Every Day is, in a word, perfect. 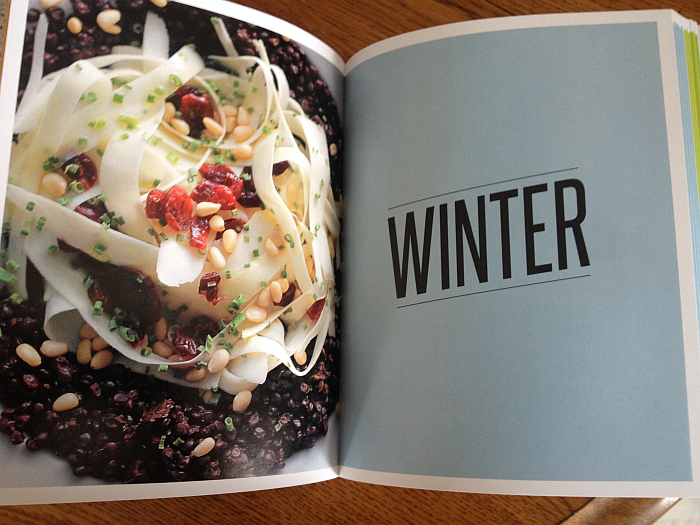 It’s beautiful, has gorgeous photographs throughout, and is packed with unique, delicious, and easy to pull together salads and salad dressings. Determined to eat more vegetables for lunch, David Bez embarked on a personal challenge to create one new salad every day using seasonal, healthy ingredients. 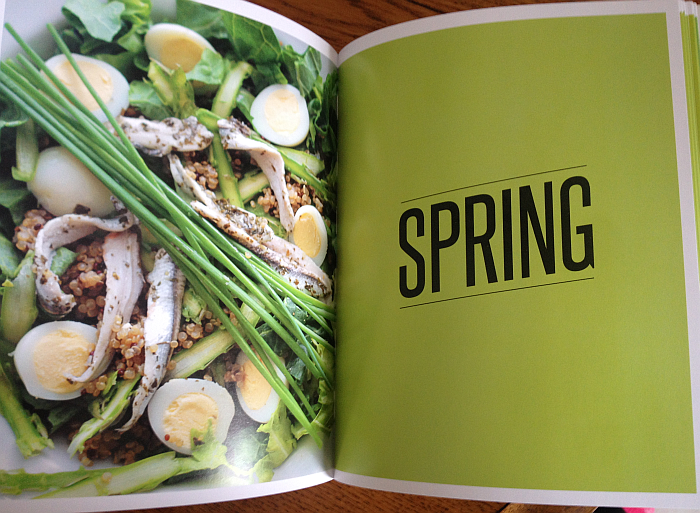 In Salad Love, he shares his favorite recipes from his yearlong experience. Crunchy, savory, and incredibly satisfying, these salads go beyond your typical combination of lettuce, protein, and toppings to create vibrant, plant-based meals that offer something for every palate. In summer, try Oak-Smoked Cheddar, Peaches, and Blueberries; for fall, savor hearty Roast Chicken, Quinoa, Red Pepper, and Peanuts; in winter, fuel up with Ham, Roasted Potatoes, Carrots, and Dried Cranberries; and in spring, enjoy Egg, Asparagus, Croutons, and Pecorino. 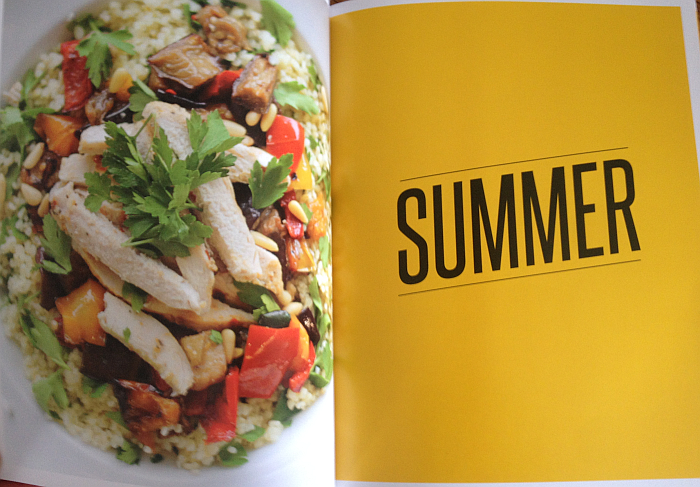 Complemented by 280 full-color photographs, Salad Love invites to you explore inspired salads any day of the year. I love the fact that Salad Love is divided into four seasons. 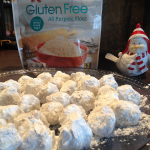 This allows you to find perfect salads for whatever time of year it is. 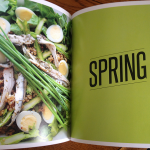 Naturally, you can make any salad in the book any darn time you want to – but the freshness of the ingredients will change with the seasons. 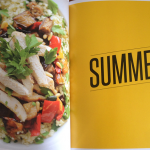 In addition to the 260 Salad Meals (again, beautifully photographed with easy to follow details), Salad Love also includes nutritional information, tips, and “salad tools” the author utilizes to make his salads the best they can be. You’ll probably already have all of these on hand. 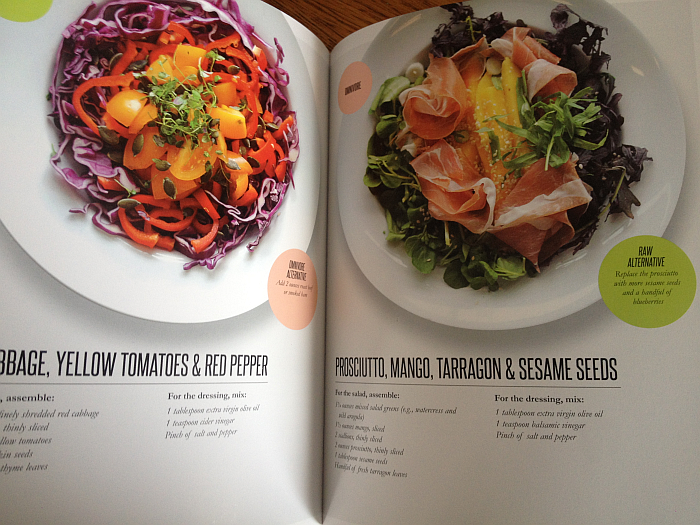 The salads in this book are unique in that each stands on its own. There is no need for extra food – each salad can, in fact, be your meal. That’s one of the things I love most about salads – they’re filling, nutritious, and absolutely perfect any time of the day. DAVID BEZ is the author of Salad Pride, a blog that chronicles his personal challenge to make one new salad a day for an entire year. 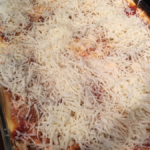 A home cook, David created the blog after his coworkers expressed interest in his daily lunches. He lives in London with his wife and daughter. If, like me, salads are something of an obsession, you’ll want to click through and grab a copy of Salad Love pronto, if not sooner. 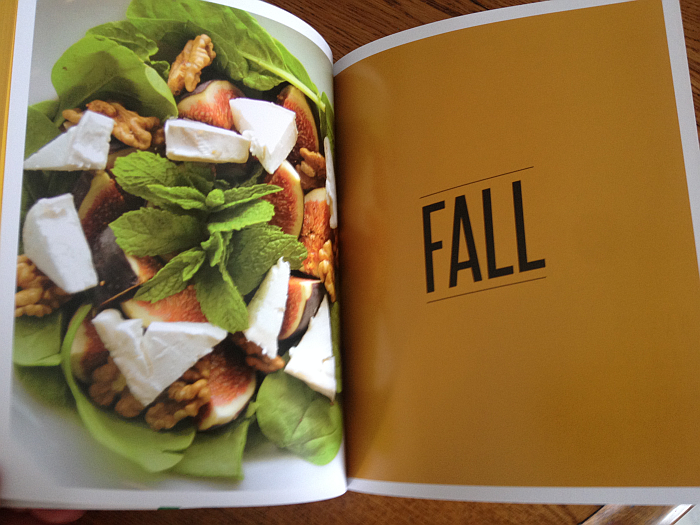 If, very unlike me, you’re just “meh” about salads, you’ll also want a copy! As I was looking through the book earlier, it occurred to me, if someone wasn’t “turned on by” salads, this book would flip their switch! This beautiful (seriously, it really is a knock out) book is a must have for anyone and everyone. It would also make a wonderful gift for Mother’s Day, Father’s Day, Christmas, or birthdays. How can you beat giving a beautiful, useful gift that’ll could also make your loved one eat healthier?! See Salad Love for more information. 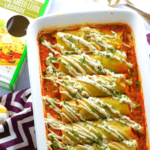 Gourmet Meals in Crappy Little Kitchens? Why Not?! 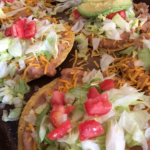 The Many Benefits of Eating Local!